Stephen Curry of the Golden State Warriors drives to the basket against the Detroit Pistons on March 24, 2019 at ORACLE Arena in Oakland, California. LOS ANGELES – Stephen Curry returned from a rest game to score 26 points, Klay Thompson finished with 24 and the Golden State Warriors rebounded from an embarrassing blowout loss with a 121-114 win over the Detroit Pistons. 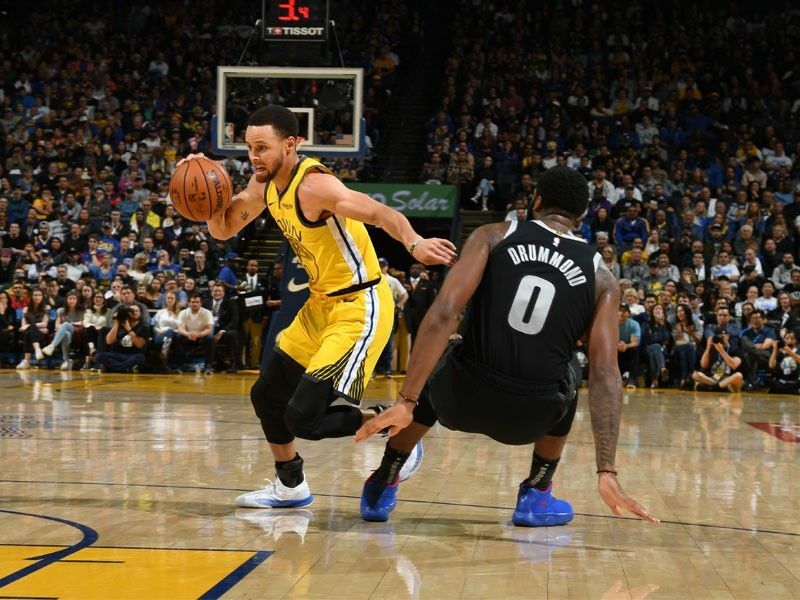 The Warriors decided to rest Curry on Saturday and it cost them as they were clobbered 126-91 by the Dallas Mavericks. He came back strong against the Pistons as Kevin Durant also finished with 14 points and 11 assists. The Warriors improved to 50-23 on the season and moved back into the first seed in the Western Conference by a half-game over Denver. This is the sixth consecutive season Golden State has reached 50 wins. "It's kind of surreal, to be honest," Warriors guard Curry said after the game. "You talk about the history of the organization, how hard it is to win NBA games, win championships and string together (wins) year after year after year."